(Photo: Instagram/Joy Hill) Potter’s House Denver Pastor Chris Hill (at center in bottom right photo) poses with his god-daughter Shirnae and her husband Arthur McFarlane III on their wedding day September 26, 2014. Hill’s wife Joy (at center in top right photo) recently alleged that he has been engaged in a months long affair with Shirnae. As allegations that the Potter’s House Denver pastor Chris Hill had an affair with a married church member continue to swirl, the member’s husband recently announced that he is “separated.” Meanwhile, the megachurch is remaining mum. The allegations were first made in a mass text message sent by Hill’s wife of more than 20 years, Joy, to members of his 7,000-member church in Colorado. In the text, Joy Hill alleged that she was able to verify that her husband carried on an affair with their young goddaughter, Shirnae McFarlane, who got married to Arthur McFarlane III on September 26, 2014. “FYI Pastor called the police on me tonight because I yelled at him asking him to leave the house tonight and he wouldn’t. I was upset because he won’t stop having an affair with Shirnae, and I can’t live like this anymore. They’ve been having an affair for SEVERAL months, and he finally admitted it yesterday (after I hired a private investigator to have them followed over the past 6 weeks). So since he wouldn’t leave the house tonight. I threw his clothes in our DRY/EMPTY hot tub,” Joy Hill reportedly said in the text message first cited by the Obnoxious Television blog, which broke the news about the late Bishop Eddie Long’s cancer last September. “I’m DONE covering for him!!! DONE!!!!!!!!!!!!!! I called one of our deacons (officer Everette Moore) And he came over tonight too…4 cops in total were at our home. They concluded that no crime was committed. He’s painting me to be violent and irrational. I am neither. I am a wife who is devastated that her husband is cheating her…with her ‘DAUGHTER’! !” the text continued. The initial report indicated that Pastor Hill subsequently took a month off his duties at church while his married goddaughter and alleged lover was fired from her job at Potter’s House Denver. Potter’s House Church of Denver did not respond to multiple requests for comment. A representative of the church, who did not identify herself, could not confirm to The Christian Post on Thursday whether Pastor Hill resumed his role at the church or whether Shirnae McFarlane was still an employee. She also refused to comment on whether Joy Hill was still with the church. Arthur is listed on the website Stage 32 as an actor, assistant director, camera operator, and screenwriter, among other roles. His wedding to Shirnae in September 2014 was officiated by Pastor Hill. In snaps celebrating their nuptials, Joy Hill noted how proud she was of their marriage. 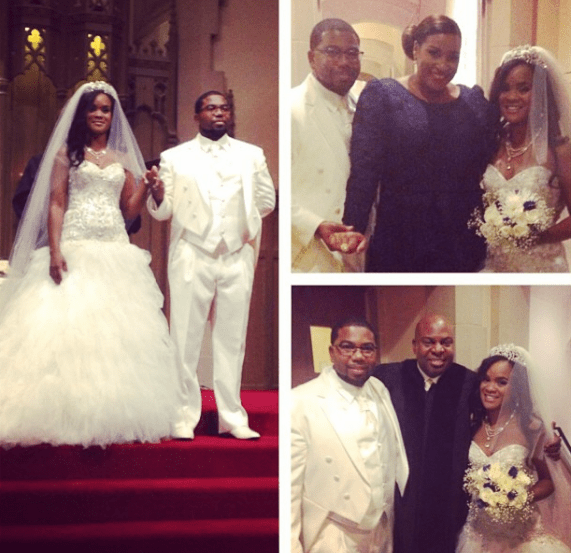 “@pastorchrishill and I were the proud god-parents at the wedding of Shirnae and Arthur McFarlane tonight,” she wrote. In her last post to Instagram in early March, around the time the alleged scandal was unfolding, Joy Hill publicly lamented the need for righteous living. “I don’t why this so hard for some people. God ALWAYS honors Righteous…and NOT what we THINK is right! No matter how much you try to justify your actions…if it doesn’t line up with God’s WILL and His Righteous, it won’t work‼ #PeriodPointBlank#DoTheRighteousThing#GodWillHonorThat#StopJustifyingYourActions#ItsNotAboutWhatYouThink,” she said. In apparent confirmation of her family problems, several of her followers indicated they were praying for her family and praised her for her actions. “Praying for you and your family. What you did is exemplary! If you are called to be righteous and Christ like we the ppl need to root out bad behavior and stop making excuses. It must stop!” noted follower torontomermaid. In her alleged text to church members about her husband’s affair, Joy Hill said even though this wasn’t the first time her husband cheated on her she wanted to save her marriage.